We're in Korea! 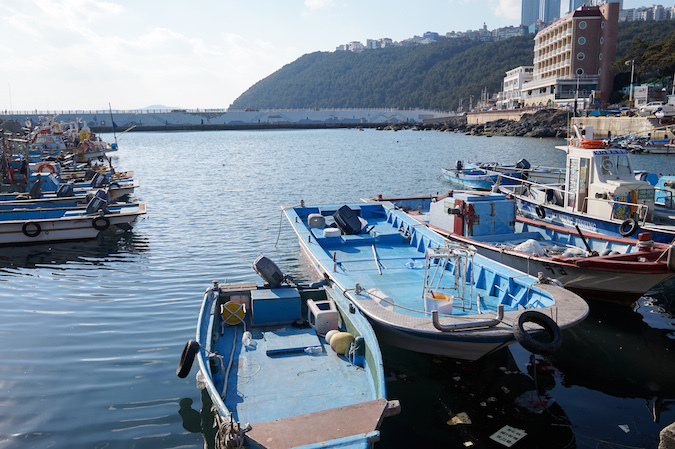 Before heading to Seoul, we stopped for a day in the southern port city of Busan. Most tourists flock here to enjoy the beaches in the warmer months, but there was a certain beauty in the quiet of wintertime by the seaside. 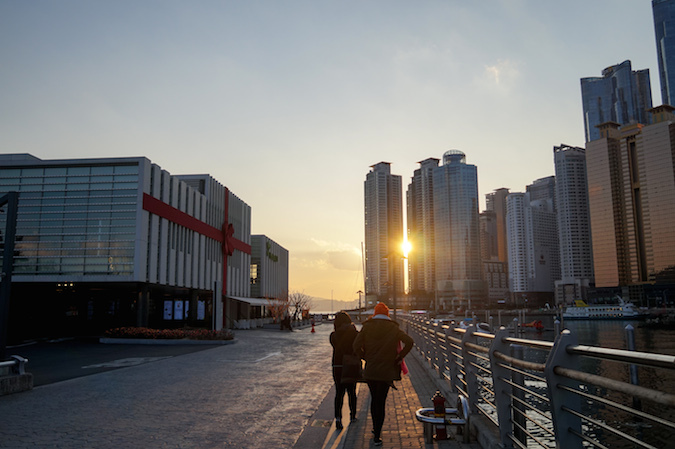 Unfortunately I will not have a photo diary from Seoul as I was sick at home for most of the time, but I hope you enjoy these snaps from our day in Busan and look out for what is yet to come on this post-grad travel adventure! 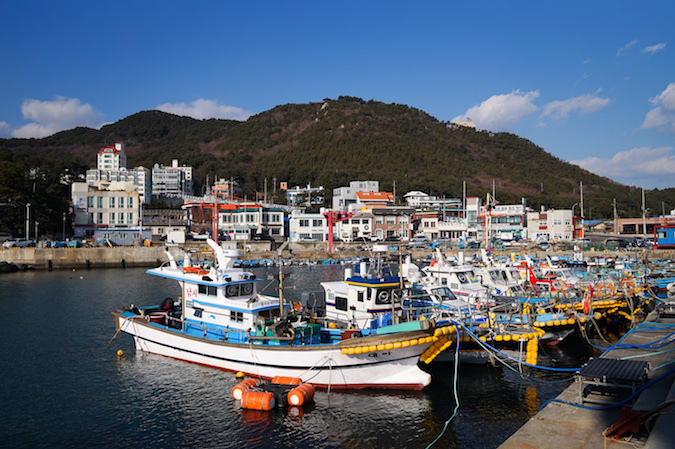 As a port city, Busan is known for its extremely fresh seafood. 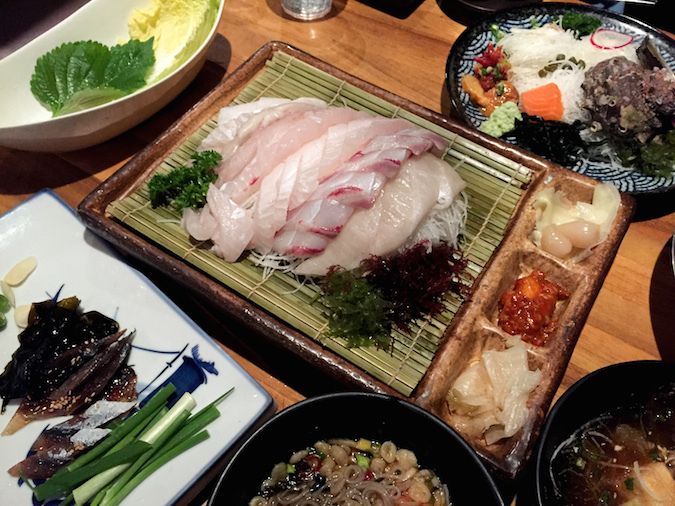 We went straight for sashimi on our first night in the city, and we were not disappointed by the quality or quantity. The city is also known as the birthplace for its signature Dwaeji Gukbap, or pork and rice soup. We kicked off the next morning of touring with a hefty breakfast that left us full for almost the entire day. 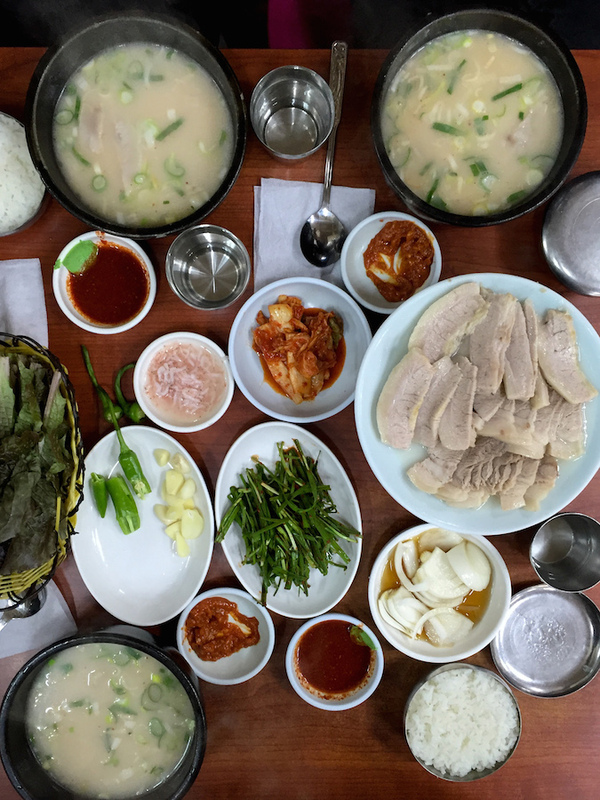 It was my favorite meal in Busan and something not to miss if you ever make your way to the Korean seaside. Our first scenic spot was the Oryukdo Skywalk to get an overhead view of the sea and across the way to Haeundae. While the activity itself lacked in excitement, the view was beautiful. With so few people venturing out in the winter, it gave us the opportunity to appreciate the calm and vastness of the sea. Around lunchtime we hit the small fishing village of Cheongsapo, which was virtually empty at this time of year. 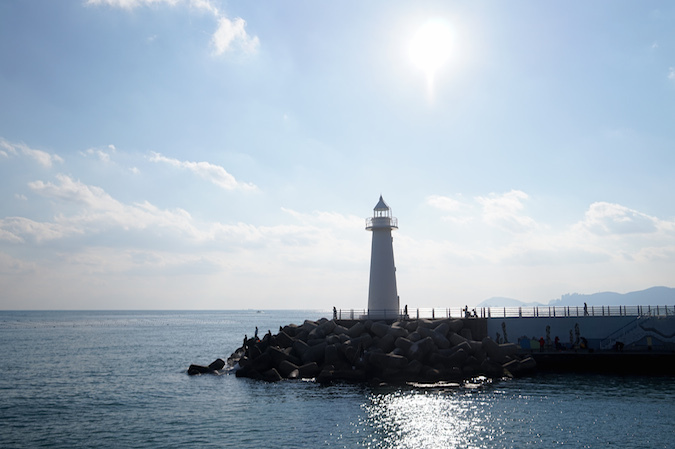 This area is particularly known for its two lighthouses, though the section of the city itself is not one of Korea's top destinations. I thought Cheongsapo was lovely with its old charm and no-frill dining. 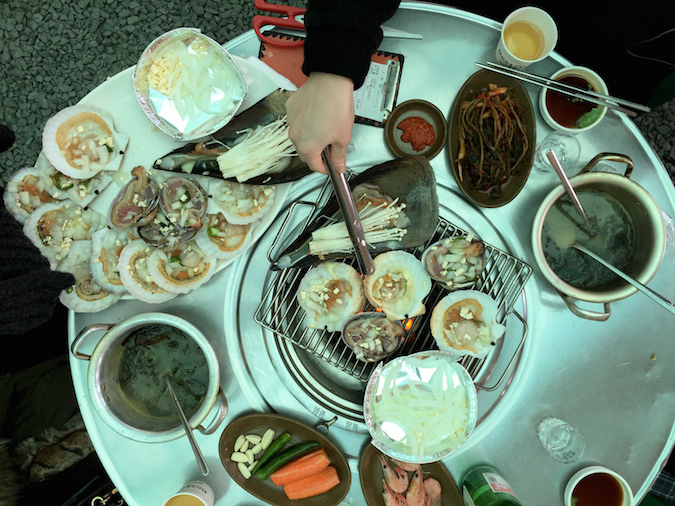 We stopped for a highly recommended grilled clam feast, and while it may have been the source of my sickness, it was delicious while it lasted. 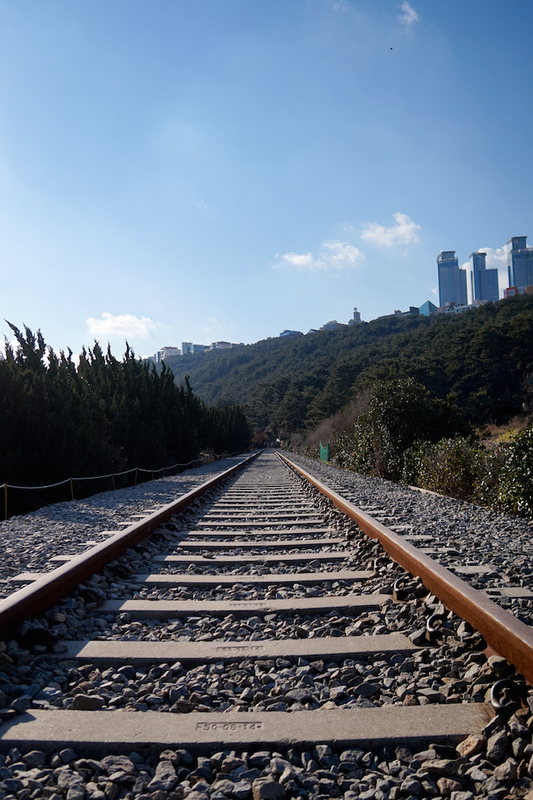 From Cheongsapo we took a half hour hike along Busan's abandoned railway to the Haeundae beaches. This is apparently a popular activity for locals and tourists, as we were joined by many others also enjoying the quiet sea breeze. It is quite a long, uneven walk, but nonetheless a unique way to appreciate the port city. 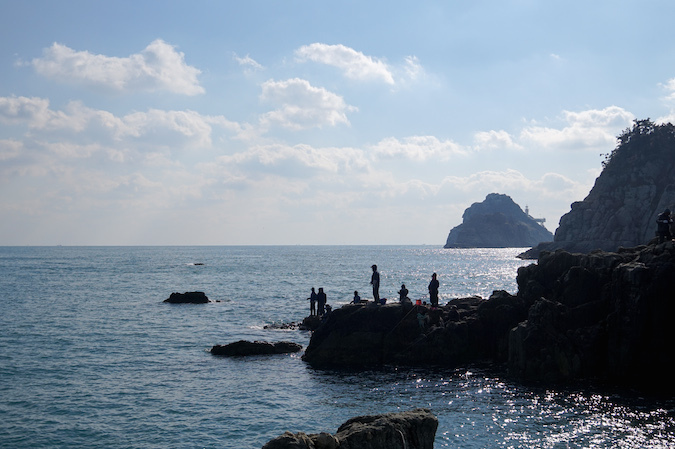 My roommate (who hosted us on this trip) mentioned that when people think of Busan, they think of Haeundae. 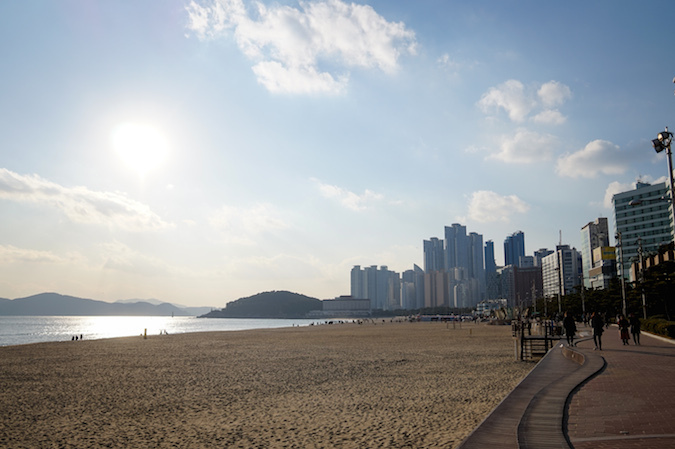 This is the city's famous beach area, which is overcrowded with Koreans from all over in the summertime. Frankly, it was almost nicer to walk along the boardwalk without any worry of crowds. At this point we were completely exhausted, but we took a few bus stops over to enjoy the sunset from The Bay 101. 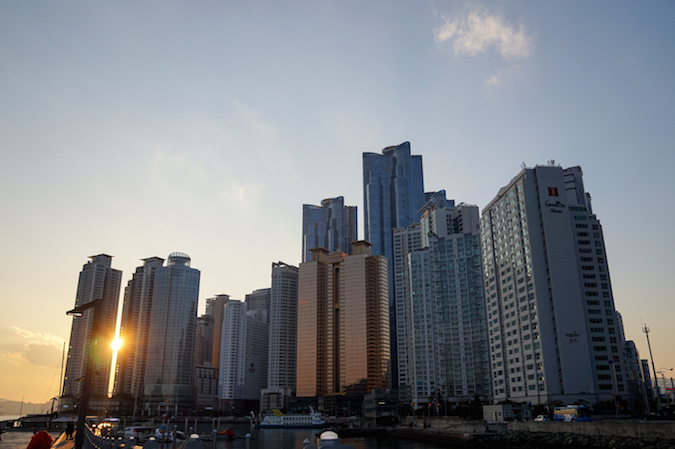 This is Busan's premier yacht club and an area to eat/drink, though to me it closely resembles the skyline of Hong Kong. 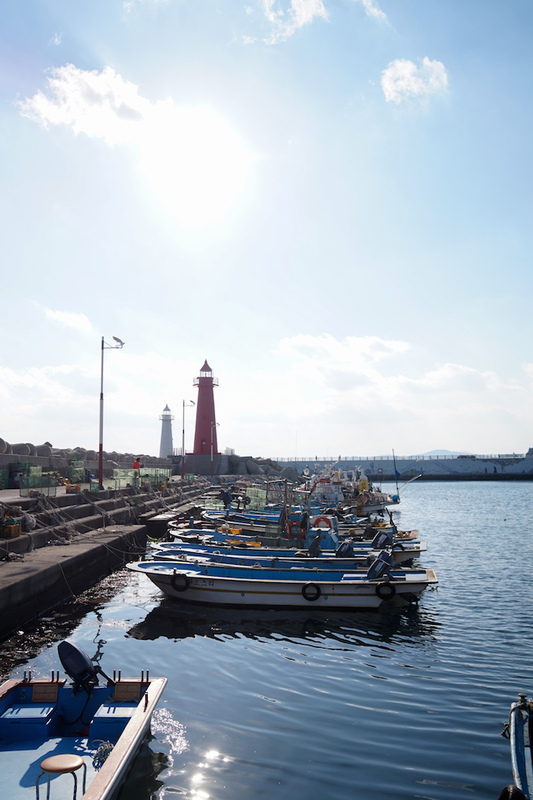 Regardless of our exhaustion, it was a lovely way to end our day trip in the quiet port city of Busan. I think Busan was kind of a village? Looks like a big city now! I love the photos! I so wanna visit Korea! It is the second largest city in Korea! It is known for seafood in general! So delicious! 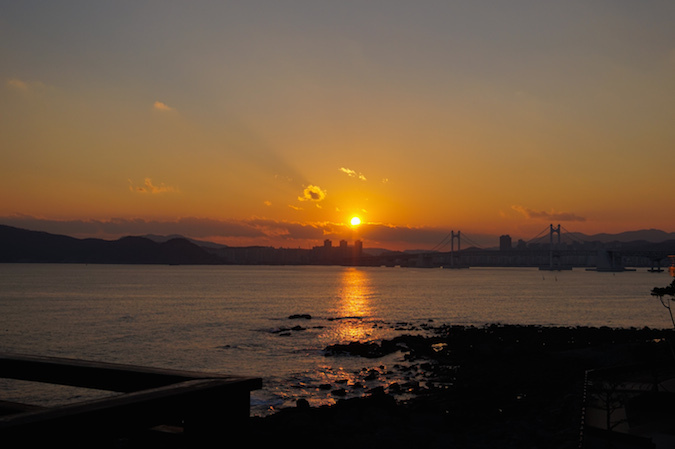 Thank you for sharing these pictures :) I guess I have always associated with Korea with bustling city life so it was great to see some beautiful scenery. Definitely has me feeling extra wanderlust-y now! Agreed! I absolutely loved this area of Korea. These pictures bring back so many wonderful memories! 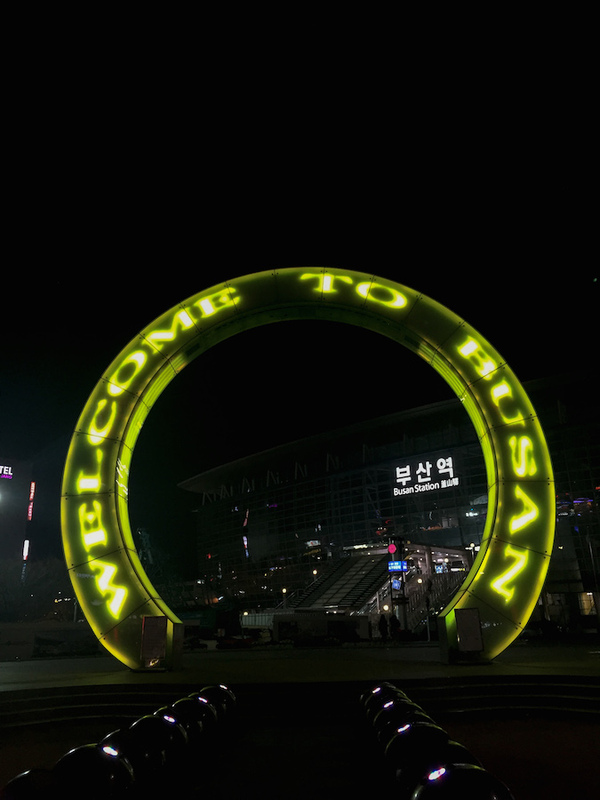 Busan is a beautiful destination! You always amaze me with those sumptuous food.